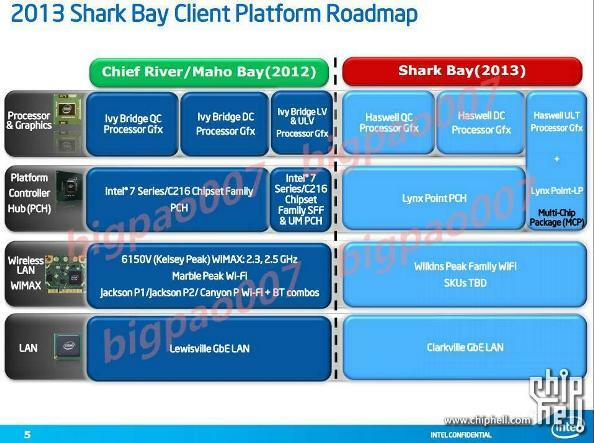 A series of slides detailing Intel's 2013 processor and chipset families - codenamed Haswell and Shark Bay - have leaked onto the Internet. 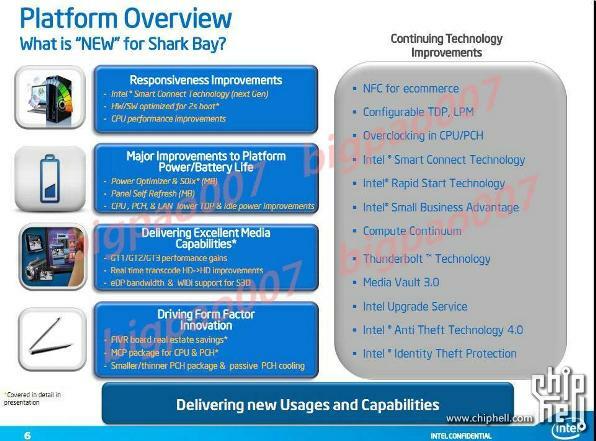 In the leaked presentations, Intel has been making bold claims regarding a reduction in power consumption (20 fold reductions by 2013) for over ten days of connected standby performance on a notebook. We receive a little insight as to how it plans to accomplish this, not so much through a revolutionary CPU redesign but through a new power-managed platform. 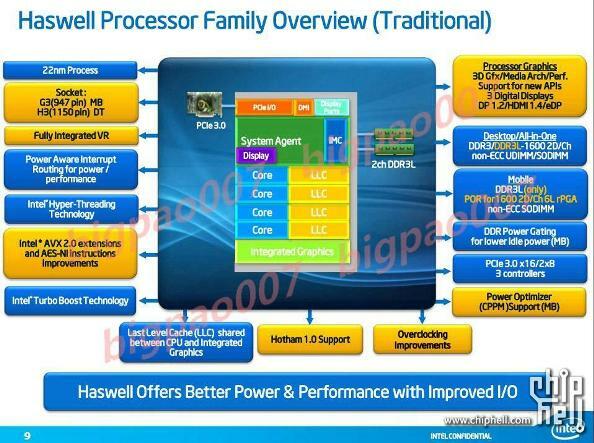 Haswell itself is a new architecture, but appears to remain quad-core with a similar TDP to current Intel offerings, whilst scaling down to 15W for netbook devices. This may seem insignificant, however 15W allows Intel to look to push its Atom technology towards lower power-consumption and focus in a more specific market. Intel has already announced its intentions to work with Google to optimise Android for the Atom and x86 modifications to the Android source have been spotted very recently. 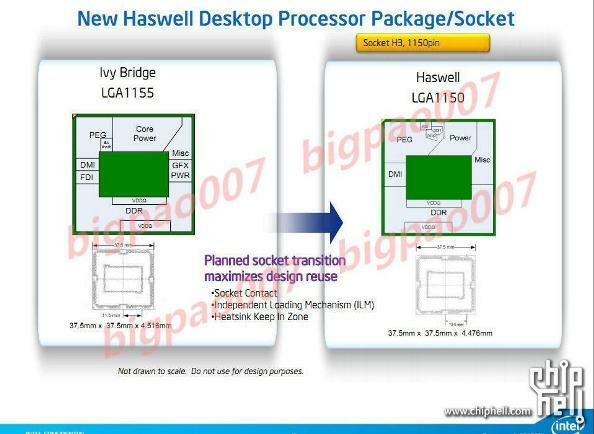 The Haswell architecture will be built, initially, on the same 22nm process with 3D tri-gate technology as the soon-to-arrive Ivy Bridge chips - so no change there. However, the architecture is redesigned on the performance side of things, where we see the introduction of AVX 2.0, featuring functions for gather, bit manipulation, floating-point multiple accumulate, vector-shifts and FMA3. A new Last Level Cache (LLC) architecture will be utilised, shared between CPU and GPU, which focuses on pushing cache further away from individual cores, enabling better sharing of data as the use of parallel processing increases. No doubt there will be further pipeline optimisations, surmounting to the typically expected performance increases when moving from one generation to the next, along with minor refreshes such as support for DirectX 11.1. Looking at the power side of things, we see support for low-power two-channel DDR3L with support for DDR Power Gating along with a focus on power management and optimisation. 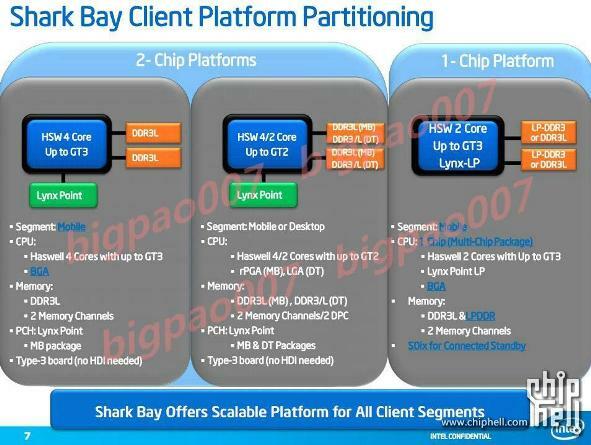 The real stuffing is in the new Shark Bay architecture, which focuses on reducing standby power-consumption and general scalability across the entire device with a power-optimised core, general TDP reductions on the CPU, Platform Controller Hub (PCH) and LAN with support for self-refreshing panels, where, if a static image is currently being displayed, supporting panels will cache the image and refresh themselves, allowing for both the graphics and CPU hardware to go into a sleep-state. 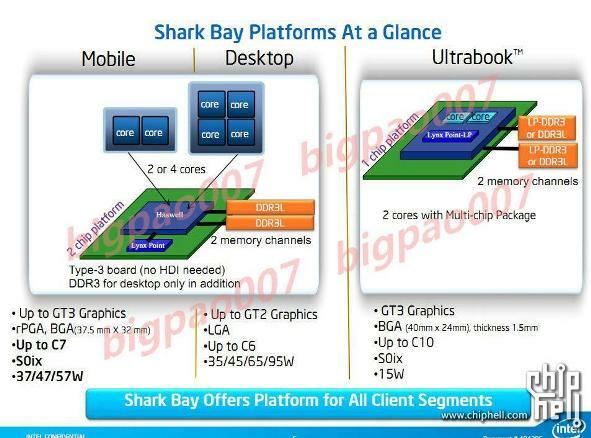 There has been a clear focus on scalability with this platform, with some very serious intentions to create 'Ultrabooks' that perform very much like tablet and netbook devices with fast boot times, better battery life and smaller form factors.